Every drive home for me consists of blasting music and singing at the top of my lungs. 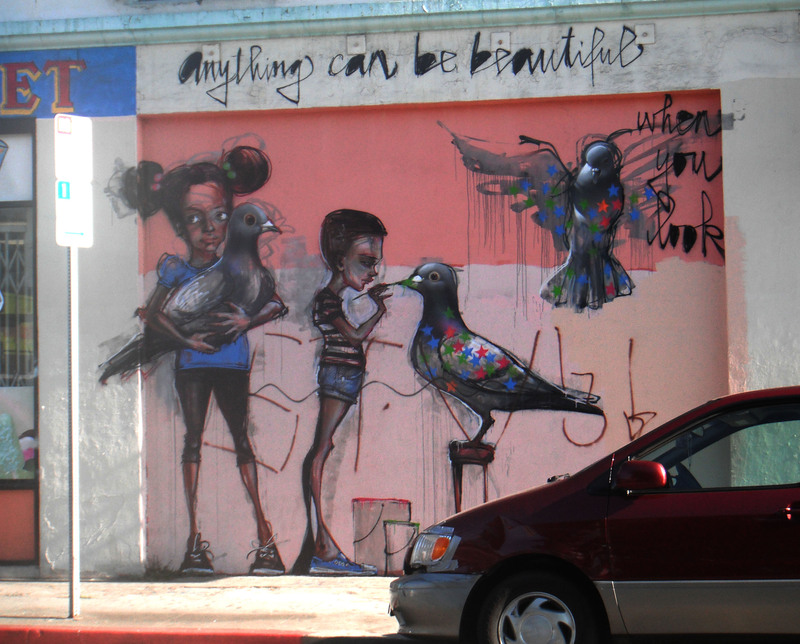 And every evening, I’ve noticed this one piece of art that caught my eye a while back. Today I resolved I’d finally pull over and finally snap some pictures of it. 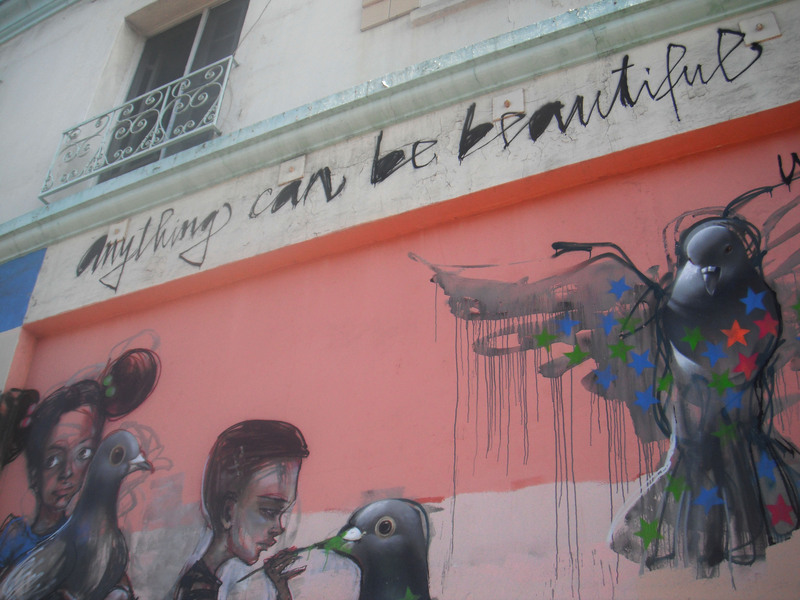 The writing says ‘anything can be beautiful, when you look,’ which I thought was an interesting statement. I really like the way the almost brush-like quality of the little details. The spray paint dripping from the bird’s wings is especially intriguing. 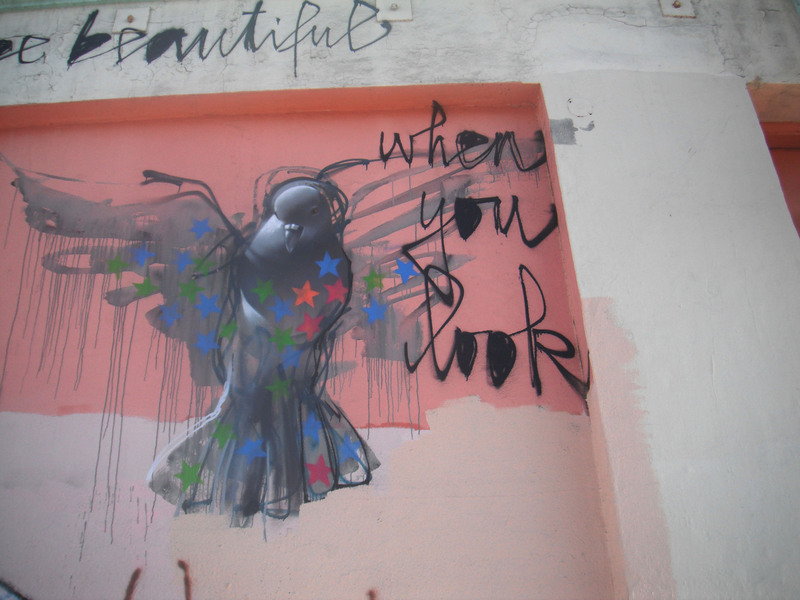 It’s a technique that can be found in other graffiti art but it really clicks here to evoke the softness of the feathers of the bird. 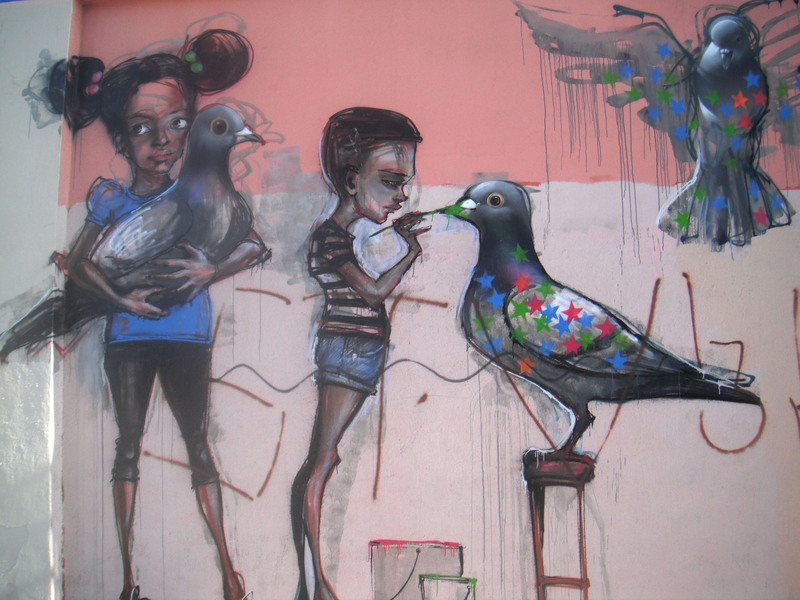 The whole piece itself is very whimsical, what with two kids painting pigeons. Wow. That one is pretty cool! Interesting, startling effect of the dripping paint.